Hello! Here I am, and the blog is not entirely defunct…! But I haven’t been reading very much romance this year. This spring I started reading a lot outside the romance genre. It actually started at New Year’s during our annual New York City holiday visit. My cousin — who is English — was reading Sarah Waters’ The Paying Guests. She said she loved the way Waters captured the small details of post-war frugality, domesticity, drudgery and repressive class consciousness. Plus, she can be counted on for a rippingly suspenseful tale. Fingersmith, Waters’ Dickensian novel of thwarted love and pickpockets, is a longtime favorite. Sometime in March I found a copy of the new book at the library. This turned out to be one of those times when reading one book sets a certain mood which carries over into subsequent reading choices. It was partly that The Paying Guests evoked a Pym-ish shabby genteel world I still find inexplicably appealing. 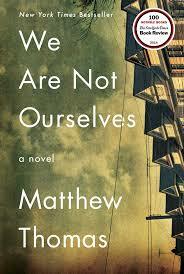 Then more recently I read We Are Not Ourselves by Matthew Thomas, and I realized that for several months I’ve been steeping myself in stories — both fiction and nonfiction — about houses. I can’t stop thinking about these shabby, difficult domiciles, and their centrality in stories from both ends of the socio-economic spectrum. A brief digression… A household may be characterized as “rent burdened” when it spends more than one third of monthly income to cover housing and utilities. A troubling, and rising, share of US households use up as much as half of their income to cover housing costs. Many academic and policy experts believe that, in the US in particular, the recession and subsequent economic recovery has intensified the housing affordability crisis, with increasing shares of low- and moderate-income households forced to make impossible trade-offs among food, clothing, education and healthcare expenditures in order to stay in their homes. Homeownership is down, rents are unaffordably high and going higher. OK, that’s enough of the dayjob-related digression. But with all this as a backdrop, I found myself thinking a lot about literal and figurative “rent burdens” in the stories I’ve been drawn to lately: agonizing choices when the too-high rent (or balloon payment) comes due; the strain of keeping up appearances; struggling to stay in a house, or trade up to a better one; making ends meet, or what happens when they don’t; the psychic and emotional toll of housing insecurity of one kind or another. This incredibly affecting novel has received so many good reviews, it seems superfluous for me to recommend it. I will just say that while I was utterly taken in by the slow reveal of Ed’s erratic behavior, and the emotional impact of early onset Alzheimers for his wife and son, it was the careful portrait of Eileen’s lifelong governing obsession with real estate that lingered long after I’d finished the book. Eileen’s toughness masks her deep vulnerability and feelings of inadequacy, and she’s convinced that living in the right neighborhood, in the right kind of house, will “fix” all of the bad feelings she cannot even give name to, except to blame the newcomers in their working class neighborhood, with their markers of difference from skin color to cooking spices. 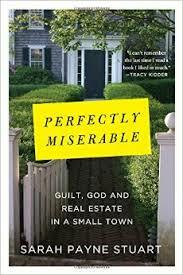 It is a powerful meditation on “white flight” from urban neighborhoods and inner ring suburbs, that manages to be both damning and compassionate, though it’s difficult to feel sympathy for Eileen because she’s so wrongheaded. When she finally achieves her goal and moves her fragile family into a suburban money pit of deferred maintenance, her emotional isolation is mirrored by her dysfunctional house. She maxxes out credit cards to fix up one downstairs room — a public mask for the crumbling emptiness, broken fixtures and dingy surfaces throughout the rest of the Learys’ new home. This is not a novel, but in her memoir of New England WASP privilege Sarah Payne Stuart pulls no punches in casting herself as an Eileen-like figure of house proud self-absorption. Although Concord, MA is far from Queens and Bronxville, Stuart’s tale is evidence that no matter where you go, the American obsession with “trading up” to a better house is tremendously powerful, and it motivates people to make choices that affect marriages and children in all kinds of potentially damaging ways. It’s sort of a bizarre mash-up of nostalgia, pretension, humility, Yankee ingenuity and charm, bad parenting, self-awareness, mental illness, empathy, and self-delusion. For me, it was rather compulsively readable, probably because I’m familiar with the neighborhoods described in nearby Concord, and with the quest for approval from an emotionally detached, puritanically self-important, and snobbish mother figure. Having grown up in Concord and then returned to raise her children there decades later, Stuart admits her somewhat delusional obsession with the Alcotts, and disapproving Marmee figures throughout her life, but the long meditations on Concord’s famous writers, their houses, families, and burdens, became tiresome at times. Stuart’s essays for the New Yorker are probably enough for many readers who won’t be interested in a book-length memoir that comes off as more than a little self-important. But I admit, I was impressed by her ability to capture and articulate (and ruthlessly skewer) a certain set of astringent New England attitudes about old money, genteel poverty, and conspicuous consumption, and what happens when house = identity. In an accidental offset (I picked up both books at the library one evening) to Stuart’s almost ridiculously self-indulgent eulogy for the succession of historic Concord homes she lived in but could barely afford, I read this book about what it’s like to really not be able to afford to live where you want to, or even to remain in the same undesirable but affordable place with any sense of security. As Tirado points out here at Slate, ANYTHING can make you lose your apartment, because there’s no cushion for household nuisances with financial implications, from the high cost of having your car towed to the loss of income when someone’s sick and misses work. The book is an extension of a blog post Tirado wrote in 2013 that subsequently went viral, was picked up at Huffington Post, and then, predictably, was backlashed across the internet by people suspicious of the veracity of her unvarnished minimum wage story. It’s a bit of a stretch to say this book is about a house, but it’s a powerful narrative about what it’s like to live, now, in “bootstrap America”, in clear and present danger of becoming unhoused, on a paycheck to paycheck basis. Tirado effectively demonstrates why middle-class judgments about healthy food choices, childcare arrangements, healthcare, and living arrangements are basically meaningless for people who work two or more minimum wage irregularly scheduled shift jobs. She comes across as angry, but rational, and makes her basic point effectively: It’s not being unstable (eg. bad choices) that keeps poor people poor. It’s being poor that forces people into (so-called) bad choices, making stability next to impossible. My background is middle class and I read this, as I read everything, from my position of privilege and relative financial stability. I thought about leaving it out of the post because it almost seems disrespectful to include it with books — novels — I read recreationally, for pleasure. But this was one of those books that ended up powerfully affecting my responses to everything I was reading thereafter, even novels set in remote historical periods, and it’s well argued and hard to put down. I am glad I read Tirado when I did because it offers a clear framing of issues around class, and the disconcerting ease with which we make assumptions about people based on socio-economic status, now just as in earlier periods. I’m a huge Waters fan, though I hadn’t been keeping up since I tend to read in phases, and when this book came out I barely noticed it. At the time I was deep in romance reading, glomming Jo Beverley and Liz Carlyle. But it came along for me this spring at the perfect time — a fantastical gothic tale of a house possessed. But it’s not just an elegantly eerie ghost story. There’s an economic story here that grounds the narrative in very real conditions of postwar deprivation, the declining fortunes of the landed gentry, and subtle but powerful class tensions. The (unreliable) narrator views the residents of the Hall from his position as an outsider of inferior social standing, and the obsessive desire to attain insider status and privilege has a toxic effect far more damaging than the peeling walls and leaking roof. And of course, as great houses do, Hundreds Hall possesses its people to a much greater extent than the Ayres family can be said to “own” the crumbling country house. The disconnect between the viscerally unpleasant condition of the grimy living spaces, and the forlorn yet unsympathetic attempt to maintain a certain traditional manner of living in the vast and once-lavish spaces, creates a powerfully tense backdrop for the ghost story. 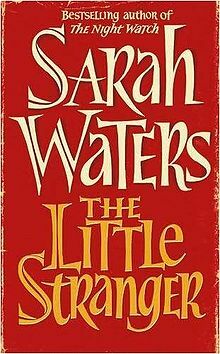 This post is already getting too long, so I just want to say that I really loved this ambiguous, slightly creepy novel, and I agree with almost every word of Abigail Nussbaum’s epic review of The Little Stranger (it does contain spoilers). I don’t usually go in for elaborate past/present time-hopping narratives where there is a Big Mystery lying dormant and information is doled out in ways that feel arbitrary and not altogether organic to the characters or circumstances. In this case, the device is rather obvious, in the character of the documentary filmmaker who is working on a project about a famously tragic post-war suicide that occurred during a glamorous 1920’s house party. 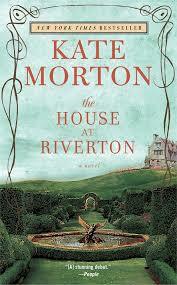 I’m including this here because in spite of the artifice, I rather enjoyed the moody atmosphere Morton created in the Riverton scenes and let the house convey both the pretension and the decline of its aristocratic residents. Similarly, I quite enjoyed Morton’s The Forgotten Garden, in which a beautifully evoked Cornish country estate also serves to ground the plot and (maybe) save it from its own secret baby melodrama. 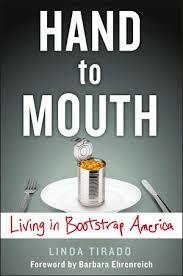 Finally back to the book that seemed to set the theme for much of my reading this year. I found it less compelling than The Little Stranger, in that I could put it down and come back to it several days later, rather than stay up too late reading. But I do think it’s interesting to see Waters returning to the notion of the house as the canvas upon which she paints a picture of subtle class distinctions with very fine strokes. The genteel middle class Wrays, mother and daughter, having lost their men (husband/father, and son/brother) to the war, must take lodgers in order to get by and keep their large-ish house in a nice south London neighborhood. 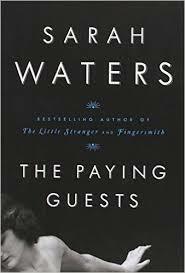 The “paying guests” are also middle class, but not “quality.” There is a love triangle and a suspense plot which ends up revolving around a murder trial, but for me the equally fascinating thing about this novel is Waters’s ability to convey the anxious and painfully futile experience of “keeping up appearances.” Lacking sufficient funds to pay the grocer’s bill at times, let alone keep a domestic servant, Frances strives to manage all the cleaning and household drudgery single-handed and surreptitiously, shielding her fragile mother and their neighbors from the shame of having to see her doing menial work that is “beneath” her. It’s not that she’s ashamed, but she can’t help feeling worried about her mother’s shame. This self-inflicted pressure to maintain the appearance of a socio-economic status that’s a reach up a rung or two reminded me a lot of Matthew Thomas’s central character, Eileen. Eileen used her house in the suburbs as the means of reinventing a middle class version of herself, far from her working class roots, but it was more house than she could afford. Similarly, Frances and her mother cling to their genteel way of life in a house they can’t afford, sweeping under the carpet such unsightly details as lodgers and housework. So many great novels have a house at the center of the story, it seems almost silly to focus on this across these disparate books. But what I’ve really been thinking a lot about lately is the way in which we rely on information about where and in what circumstances people live, in order to think we understand who they are and how they fit in the world and in relation to ourselves. Where does she live? Do they rent or own? Is that the neighborhood near the park/country club/strip mall/subway stop…? How long have they lived there? And for ourselves — how secure is my tenure? Do I wish I lived someplace “better”? What are my housing trade-offs? Even without the gothic mystery, houses and housing circumstances — the ones we grew up in as well as the ones we end up in — loom and haunt so many of our choices and interactions. Are you a Badass Booklover? Mean Fat Old Bat Reads Romances, Mysteries, and Nonfiction. Copyright @ 2013-2016 Badass Romance. All Rights Reserved. Thoughts about books from a romance addict. Audiobook reviews and book reviews. Occasional opining. Miss Bates is Austen's loquacious spinster in Emma. No doubt Miss Bates read romances ... here's what she would've thought of them. Your #1 source for Edwardian history!